The small tablets ensure an easier application. For most dogs, only 1 tablet per treatment is required. 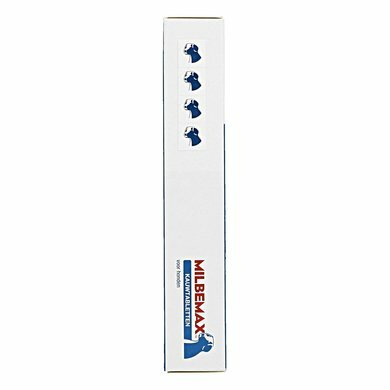 The milbemax tablet is generally absorbed more easily by the coating with beef flavor and ensures stress-free deworming. Do not use in dogs with a body weight less than 10kg. Do not overdose! The dog simply eats the tablet itself. I only give if deworming is needed, so if they have been in a risk area or after a stool test. You cannot prevent worm infection with resources, but you can combat it. These chewable tablets from Milbemax work great and the dog likes them too! Very pleasant to use, the dog thinks they are tasty .. 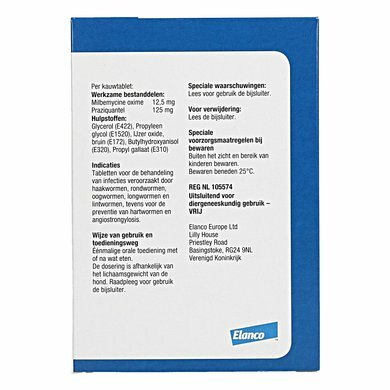 Question: Hello, have a dog about 45 kg and would like to use Milbemax as a prophylaxis against heartworms. Am in Spain for 2 months. How many tablets do I need? Answer: You need 2 tablets for a single worming for dogs between 25-50kg. 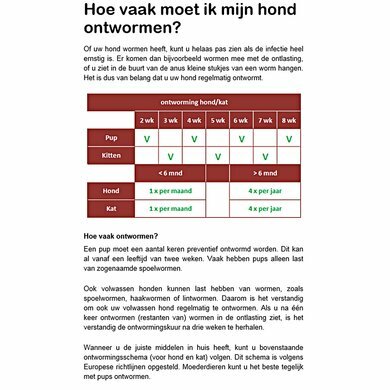 You only need to deworm the dog once during this period, as the worm-cure protects your dog for up to 3 months. Question: Hello I have a dog with 10 kg and one with 30kg. How many tablets do I need each? 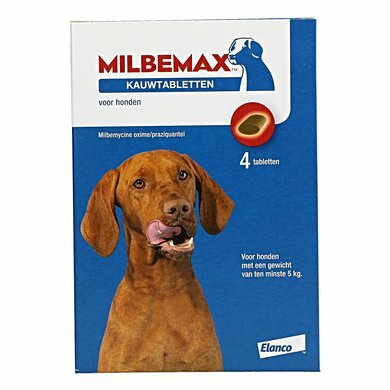 Answer: Milbemax for large dogs 5 - 25 kg: 1 tabl. 25 - 50 kg: 2 tabl. 50 - 70 kg: 3 tabl. Answer: Dogs weighing 35 kg need 2 tablets each time. The tablets do contain flavorings, but it is unfortunately unknown to us whether this is chicken / beef.